St Lawrence is a Church of England Primary School serving the village of Hurstpierpoint. At present there are 604 pupils on roll. The children of St Lawrence are happy and work and play extremely well together. 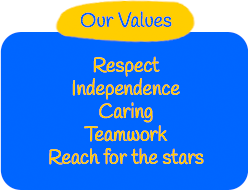 Every pupil achieves well and is given the opportunity to develop his/her own gifts. St Lawrence offers a broad and balanced creative curriculum which includes a wide range of visits, visitors and first-hand experiences. Extra-curricular activities for pupils include football, netball, basketball, chess, cross-country, athletics, swimming, cricket, art, choir and musical theatre. In recent years, St Lawrence has had the England Under-11 top-board in chess and 3 members of the Sussex girls’ team which won the national championships. St Lawrence has achieved great success as well in athletics, netball, basketball and football over the years. 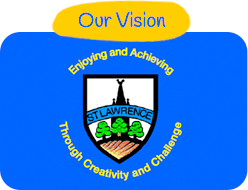 St Lawrence is a National Teaching School and a National Support School. It has been Ofsted “outstanding” since 2007. The head teacher is a National Leader of Education. St Lawrence holds the International School Award, Artsmark Gold Award, Dyslexia Friendly Award, Autistic Aware Award, Investors in People and the Basic Skills Award. The School is wonderfully well supported by parents and community.